Micromax Canvas Tab P680 Review - Mobile-Centers: laptop reviews,smart phone reviews,camera review,latest technology news. Micromax canvas tab P680 review: its price is Rs. 9,499 and Micromax Canvas Tab P680 is an average performance. It has a RAM of 1GB which is less. But its display is great and calls can also be made from it. Micromax Canvas P680 has a great display and its price is Rs. 9,499 has been kept. This tab has been given 1GB of RAM, which is quite low. If you have a budget of 10 thousand rupees then you can think of taking this phone, but if you have a budget of Rs. If you can increase up to 3,000 then you will find many more great tabs in the market. If someone asked me what is the best tab in the market then I would say Nexus 7. It offers three very good features - good texture, great touch and great performance. I'm not in favor of a feature-to-call call, I have to use the phone to call. 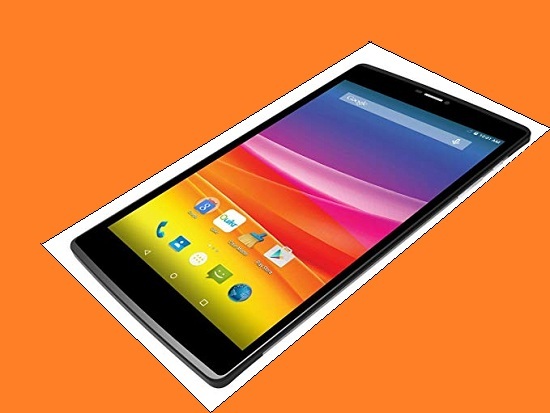 We are here to tell about Micromax Tab P680. It has an 8-inch IPS display and also calls from it. So can this be your next tab? This tablet has an 8-inch IPS display with a resolution of 1280X800 pixels. Its viewing angles are quite good and watching videos on it is a very good experience. Its speakers do not offer great sound, while watching the video you should use headphones for a good experience. Now let's talk about its UI, the tablet runs on the Android operating system just like other Micromax devices. Here's the version 5.0.1 of Android. The Micromax Canvas Tab P680 comes with several pre-loaded apps. You can also download from the Google Play Store. One of these is the "Trending App" app, where you find Twitter, Snapdeal, Savan etc. in one place. This tab's display is great but its audio is not good. Its UI is also fine. But you will definitely want to delete the pre-loaded app. Looking at this tab at first glance, it may look like the old-fashioned Nexus tablet. There is no button on the front side too. The display is covered with a black border, which is the display comes a little look and so you will see many tablets. Front facing camera and airpace are displayed above the display on the front. Its back is covered with plastic but its finish is like a gunmatal. In the Micromax Canvas tab P680 two speaker grills are reversed. It has a camera with LED flash behind it. The top part of the back can be remodeled and you will see SIM card slots and micro-SD card slots. This tab has two SIM card slots, which is a full SIM card slot and a micro-SIM card slot. Now let's talk about its weight, the weight of the Micromax Canvas Tab P680 can be a little overweight. . Overall, its design is beautiful. However its weight is a bit more. After using this tablet for a while you will see its drawbacks. When I played some games on it, this phone was doing fine. But after some time when I opened some sites on it, there was a slight decrease in its performance. Now let's talk about its specification, it has an 8-inch IPS display. It has 1.3GHz mediaTek processor and 1GB of RAM. The tablet has 16GB of inbuilt storage which can be extended to 32GB with the help of micro-SD card. It has a 5 megapixel rear and a 2 megapixel front facing camera. It is equipped with 4000mAh battery. For the day to day use it has been given 1GB RAM, which makes it difficult to multitasking. It is also easy to type in.